‘Why am I like this?’ is a new series by Bobbi Rae. Exploring the weird and wonderful world of being a woman. 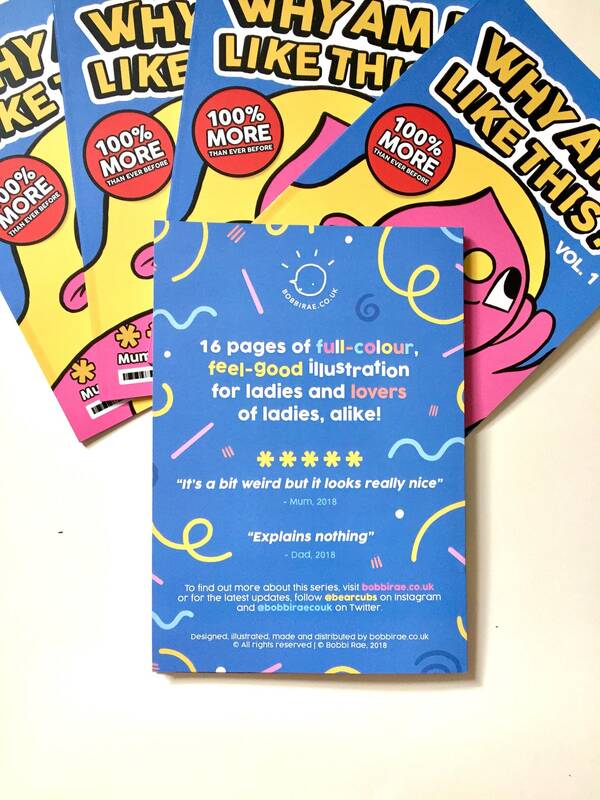 These 10cm stickers features excepts from the similarly-named zine, which promises to bring you 16 pages full of vivid colour, vivacious ladies and barrels of laughs. The stickers are printed on high-quality vinyl by Leeds’ Awesome Merch, and are available individually or packaged in sets of three. Treat yourself or a friend today, to a little joy which can be stuck straight onto your laptop, suitcase or diary.